Let's ride with LightWave 3D! This month we shine the spotlight on a pretty awesome project: LightWave 3D Artists and Directors of the ESAA Aquitaine, an Applied Arts school near Bordeaux – France, Olivier and Laurent Giboulot share with us an interesting 3D project recently made for Westside, a French company that offers a selection of products from the cycle to urban skating. 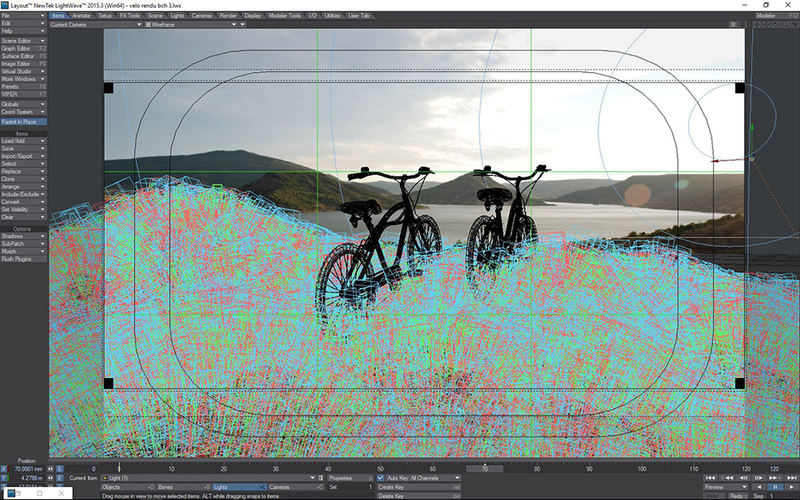 Using the power of LightWave 3D, they create a realtime application that let’s you build and custom from scratch your bicycle. Go behind the scenes and see how LightWave 3D helped creating this 3D configurator. Hi Olivier and Laurent! Thank you for joining LightWave 3D for this interview! You are the directors of the ESAA Aquitaine, an Applied Arts school near Bordeaux - France. Can you tell us a little more about you, your background and the type of 3D productions and projects do you specialize in? We are the school’s directors and teachers 24/7 since 2004 and we also work as freelancers for different kind of 3D projects in what little time remains... Architectural visualization, object design, 3D printing, advertising or simulations. 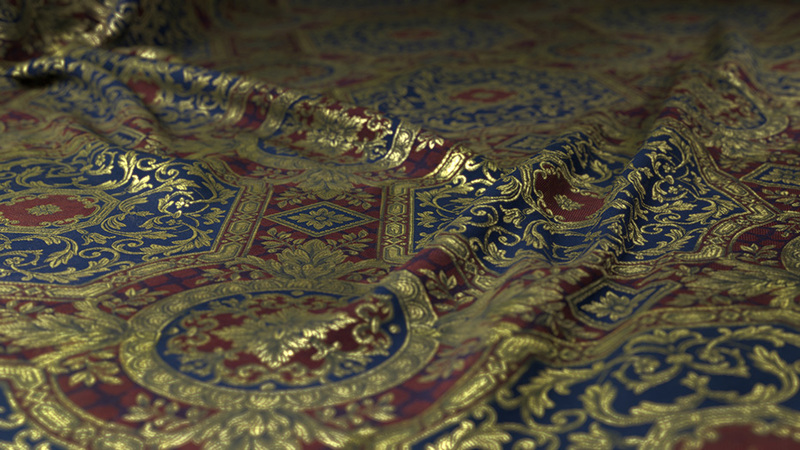 Olivier has used LightWave 3D during last 5 years in combination with Rhinoceros 3D (the best duo! ), to draw technical pieces and moulds for ceramic industry. For some years now, our practice has evolved from pictures to object design and real-time. We try to think ourselves as generalists or Swiss Army knives... Our school’s system has also been thought out and developed as a polyvalent way of learning rather than area of specialization. For that purpose, Lightwave 3D is a great illustration and conception tool and may be the most efficient and affordable software to create pictures or design objects. We saw your amazing project you’ve made recently for Westside, a French company that offers a selection of products from the cycle to urban skating. Would you mind telling us more about this project? The initial demand was “only” to create a 2D configurator on a website... But we didn't want to use rendered images or any software that “just” exports a pretty but very slow real-time 3D as it normally does with Unity or Unreal Engine. We also had to create a very fast web application in order to visualize a lot of combinations with 180 accessories or more. We also decided to use a WebGL api, three.js by Ricardo Cabello (Mr Doob), so that we can add lots of functions and create the first link between a 3D object and a merchant site product. What are some of the biggest challenges you’ve faced in the creative phase, and how does LightWave 3D help them overcome these challenges? Are there any particular techniques, features or tools in LightWave 3D used for this project? We were inspired by lots of LightWave features - especially instances, powergons, and DP parts plugin to imagine a way to create a hierarchy between parts and automatically control positions and rotations. LW CAD 5 was also used to model all the bikes and accessories with a lot of accuracy. And, for me, the LightWave Color palette was, quite simply, vital to convert integer values into floating point numbers! Which other software / programs / plugins were used in conjunction with LightWave 3D? 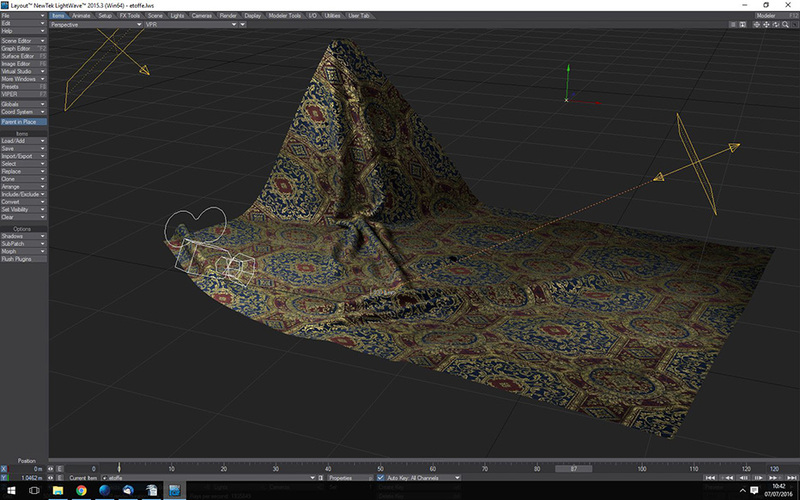 We also used Blender to control object exportations, vertex maps and normal data and to optimize the size of mesh and material files. For the rest, we used the unrivalled Notepad ++ and also the very best three.js. LightWave 3D seems to play a very important part in your work: how have you come to use this software? What is your experience with the software and what do you enjoy the most in LightWave 3D? We really would like to launch a Web VR version of the WestSide configurator or a full 3D merchant website - these two projects are already in the pipeline. The current version of three.js is based on a PBR engine and we can’t wait to start testing it with the next version of LightWave 3D! I assume that every LightWave artist already has a copy, but I have to repeat that all the DP plugins are a real gold mine. So download all the DP plugins, especially DP Filter, DP Kit, DP Sunsky, Rman Collection... They all have their place in your LighWave toolbox! I often use DP Kit edge shader or curvature shader to create a patina on metals or woods. You can also use the DP Edge to create a frame on a window, plinths on a wall, or tile mortar … These tools are very useful and easy to repurpose from their intended use. And DP Filter is simply the fastest and most powerful tool to understand and control buffers… At the end, a last tip: Have Fun!